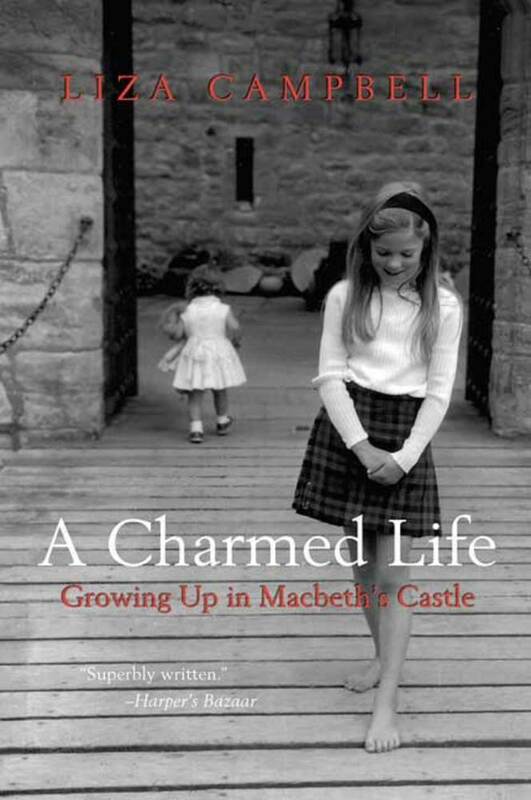 Several years ago, I read a fascinating memoir by Liza Campbell called A Charmed Life: Growing Up in Macbeth’s Castle. Campbell, the daughter of the real-life Thane of Cawdor, was the last child born in the actual castle associated with Shakespeare’s play. The memoir itself is garden-variety family dysfunction: drugs, domestic abuse, extramarital affairs, money problems. What interested me was the history of the Cawdor estate. Today, Liza Campbell is a vocal member of the Hares, a group of aristocratic British women supporting the Equality (Titles) bill, also known as the “Downton Abbey” law, which would allow first-born daughters to inherit titles. 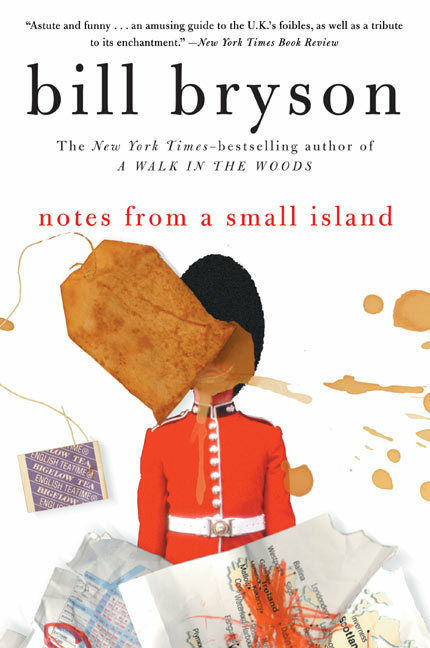 As I thought more about books set in Scotland, I realized I haven’t read many. I’ve read countless books set in England and Ireland, but I’ve neglected Scotland. I’ve never read Diana Gabaldon’s Outlander series . . . or Alexander McCall Smith’s 44 Scotland Street series. I haven’t read anything by Kate Atkinson, Ian Rankin, or Irvine Welsh. Also, I have never been to Scotland. A friend and her daughter went to the Edinburgh Book Festival last month and had a marvelous time. Jeff has always wanted to play golf in Scotland; maybe next summer we could combine a trip to Edinburgh with a visit to St. Andrews? If we do visit Scotland, the first book on my reading list will be How the Scots Invented the Modern World: The True Story of How Western Europe’s Poorest Nation Created the Modern World and Everything In It by Arthur Herman. Everything? Sounds like a bold claim, and certainly warrants further investigation. I did a quick Google search on “Scottish literature” and found that most of the recommended books are bodice-rippers featuring handsome and lusty Scotsmen. Apparently the Scottish highlands are the place to go if you’re looking for romance. A few of the suggested titles are: To Tame a Highland Warrior, In Bed With a Highlander, Taming the Scotsman, How to Abduct a Highland Lord, Thirty Nights With a Highland Husband. Need I go on? What is the meaning of life? That was all — a simple question; one that tended to close in on one with years. The great revelation had never come. The great revelation perhaps never did come. Instead there were little daily miracles, illuminations, matches struck unexpectedly in the dark; here was one. 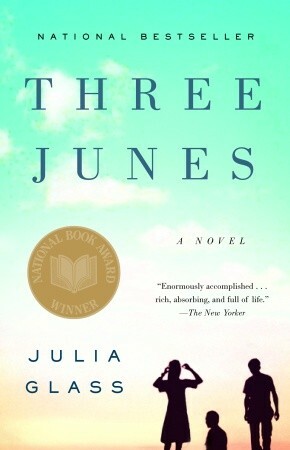 Three Junes, the debut novel of Julia Glass (one of my favorite authors), won the National Book Award for fiction in 2002. 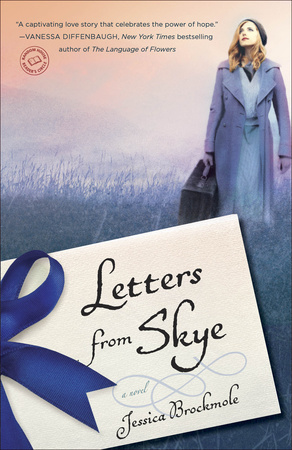 The book is actually three linked novellas about a Scottish family, the McLeods. The story develops over the course of three Junes in the late 20th century, and in Scotland, the United States, and Greece. 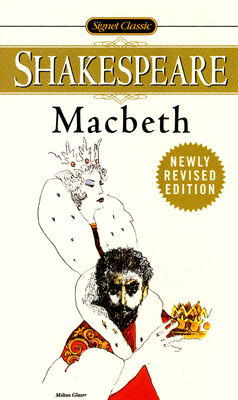 Many of the characters reappear in Glass’s later novels. And so I went to Edinburgh. Can there anywhere be a more beautiful and beguiling city to arrive at by train early on a crisp, dark Novembery evening? To emerge from the bustling, subterranean bowels of Waverley Station and find yourself in the very heart of such a glorious city is a happy experience indeed. I hadn’t been to Edinburgh for years and had forgotten just how captivating it can be . . . Every bookshop window was full of books about Scotland or by Scottish authors. And of course the voices were different. I walked along, feeling as if I had left England far behind . . .
I’d like to see those bookshop windows myself. I just hope they’re not packed with piles of Ravished by a Highlander and Seduction of a Highland Lass. 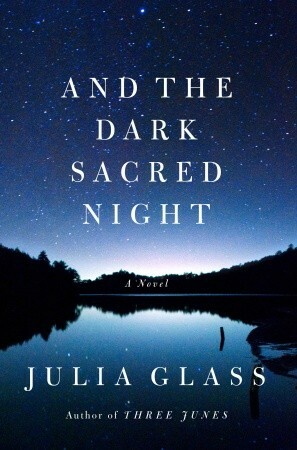 Glass’s new novel, And the Dark Sacred Night, is certainly a work of emotional power. The story centers on Kit Noonan, a middle-aged man my grandmother would have described as a “sad sack”. He’s an unemployed art historian with a specialty in Inuit art. Kit suffers from a lack of energy and purpose; he lost his academic job for failing to turn his manuscript in on time. His wife, Sandra, is convinced that his inertia is caused by an identity crisis. Kit was raised by a single mother, Daphne, who has steadfastly refused to give him any information about his birth father. Sandra sends Kit from his suburban New Jersey home to Vermont, where Kit’s ex-stepfather, Jasper, lives. Sandra believes that Jasper, who was married to Daphne during most of Kit’s childhood, knows the truth about Kit’s father. It grew initially out of my sudden yearning to revisit a character from Three Junes: Lucinda Burns, the mother of the music critic Malachy Burns. She’s a character I had a tough time getting right, but once I did (well, I hope I did! ), I fell in love with her and was sad to leave her behind. Lucinda led me back to a teeny-tiny subplot of Three Junes involving a baby born to a 17-year-old single mother in the late 1960s. And the Dark Sacred Night is, in the smallest of nutshells, the story of that grown-up-baby’s search for his father. In a roundabout way, this new character gave me the way to delve deeper into Lucinda’s life. Inevitably, she led me back to Fenno McLeod, the character who seems to come back to me again and again, always just when I think I’ve sent him packing for good. Christina helps her father out of the car while Lucinda wrestles with the walker, unfolding and locking its cheap metal wings. Each of the women holds onto one side while Zeke fumbles for a grip. Even though she knows he’s stooping to keep his balance, to meet the demands of this crablike contraption, Zeke seems disturbingly smaller to Lucinda. He dozed on the half-hour drive from the rehab center, and now, still, he says nothing. Do you know that song, “What a Wonderful World”? We hear it so often that it’s become about as moving as a beer jingle. But it’s beautiful . . . What I mean is that the past is like the night: dark yet sacred. It’s the time when most of us sleep, so we think of the day as the time we really live, the only time that matters, because the stuff we do by day somehow makes us who we are. But there is no day without night, no wakefulness without sleep, no present without past. He did like driving though the wilderness, through the brief, bright flowering of the tundra . . . but when it came to striking up a conversation with the artists he met, asking them to talk about their work, he turned shy and formal. He learned little beyond what he needed to know. Kit had no clue how to ask the startling question that would yield the unexpected revelation. And the Dark and Sacred Night isn’t really a sequel to Three Junes, but once you’ve read one, you will want to read the other, because the characters are so compelling. Fenno McLeod’s family — particularly his mother, a collie breeder in Scotland — will win your heart. (It’s interesting that Jasper Noonan is a dog breeder as well.) I wonder if Julia Glass has sent her characters “packing for good”, or if we will see more of them in future novels?